Really interesting posts... there is so much innovation going into this layout! Beautiful shots of #261. Congrats on getting to see it and to go into the cab. Getting caught up in here. Thanks for all the updates. Must have been quite the thrill to get into a live, breathing steam locomotive. I can guess that next to last picture is going to get framed! The blow down idea is a very clever way to empty the cars. A little update on my air blow down system. It is working well, I added an orifice "plug" in the hose that goes from the blow valve to the tubing (so it is after the regulator) and it seems to help eliminate the "puff" effect I get when the valve is first opened. The second thing that I did was to make the nozzles in the ceiling duct a little bigger to slow the velocity of the air. When I thought about this idea long ago when I built the shed I assumed I would not have enough air pressure so I pinched down the end of the brass pipes I soldered to the large roof duct. I actually now have more then enough pressure (too much) and I need to enlarge the discharge tubes. 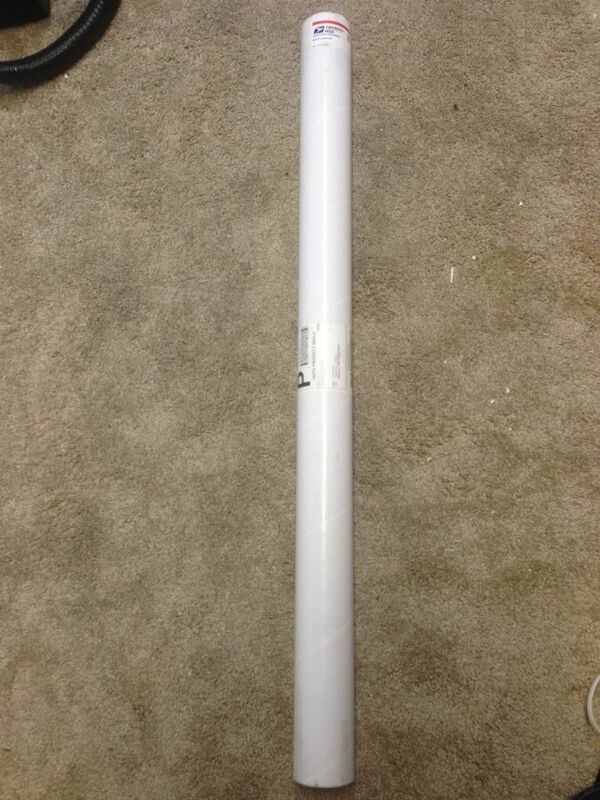 To test the large discharge idea I opened up the pinched down pipes and the air flow got better. I am going to unsolder the discharge tubes and upsize them as large as I can get, then if I need more velocity after that I can pinch those down. so far, aside from the future tweaks, it is working better than I thought. I have unloaded lots of hopper cars and never get one that has an issue. The extra blow down step is actually a fun addition, now a car is spotted over the bin, push the door open button, pull the air valve knob, then push the close button and pull forward. I have been busy building the last mining area and working on a special side project to improve my backdrops(more on that later). I started to work on the conveyor for the first loading tipple. I have been considering the idea of the building a conveyor under the unloading trestle to transfer the coal to the tipple but there are too many obstacles in the way, it might have worked out if I had planned that feature early on. I have been thinking of how this will all operate and I have some ideas I will share later. The change came about with a possible future article for Model Railroad Planning 2015, that is IF I can make the deadline. I just had carpel tunnel surgery and it has slowed me down a bit. 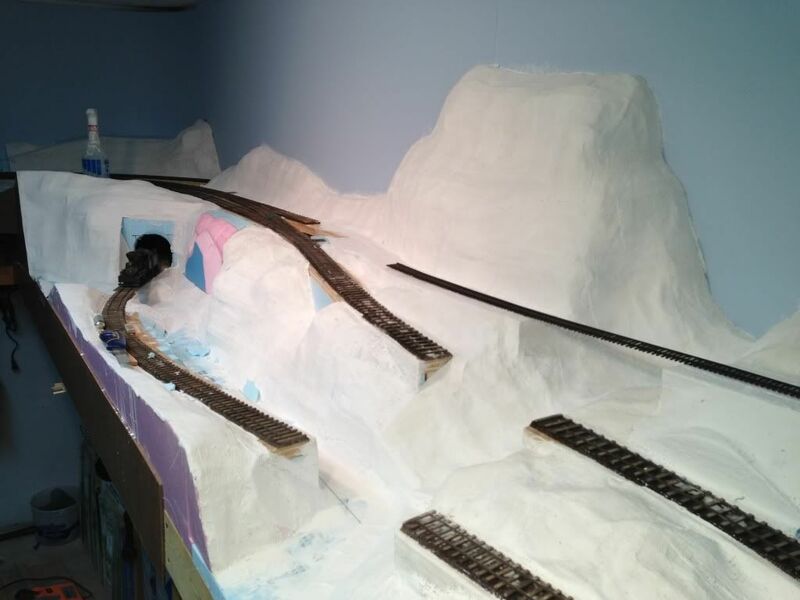 I also decided I wanted to get the bridges built for the switch back area, to do that I needed to get an idea of what the scenery would be so I did the scenery base in the switch back area, which required bracing the roadbed where it would be cut away so both ends would not move out of alignment. I am using a mix of foam and cardboard strips covered with plaster cloth, something that is new for me. All my previous layouts were carved foam, this time I wanted to try something more traditional that I felt would give me more random and natural forms. here is the switch back area. The tall mountain looks a little out of place but my goal is to have a backdrop image that will tie it in and it will look more like a point sticking out horizontally and not like a rising peak. Unfortunately I had to have a tunnel, which would not be normal for a narrow gauge RR like I am building but I had no other way to hide the lower track. The way I built the benchwork here will allow be some day to lift off the upper level of track and move it to a different spot if I get more space, basically this area of the layout are two modules stacked with their own open grid type benchwork to support the roadbed. IF that day comes and I can lift the mine off the bottom benchwork I will be eliminate the tunnel. Progress looks great. All that white plaster! Looking forward to seeing what it looks like with scenery, and I'm looking forward to the big secret! 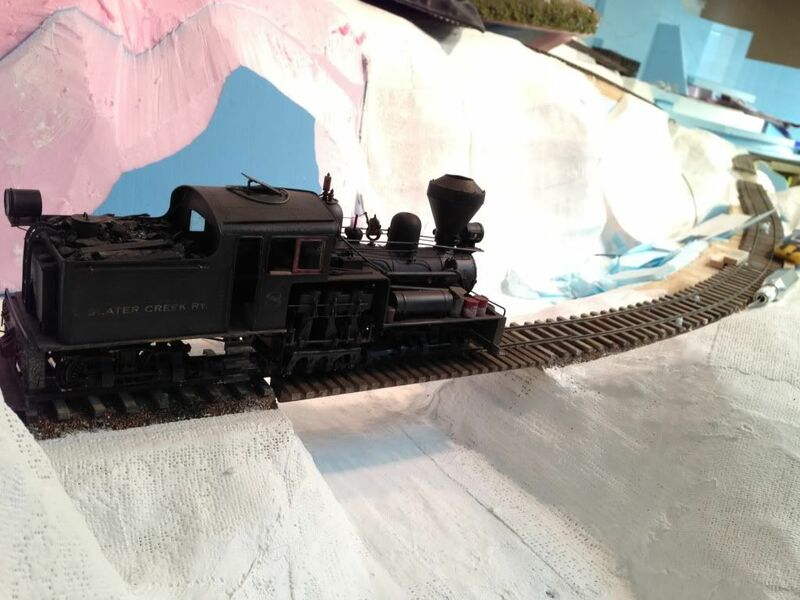 The bridge in the last photo looks a little rickety :-) It'll be great to see the scenery on the layout once all that white snow melts. And ruin a perfectly good joke/snarky comment? Looking forward to the "big thing!" The suspense is killing me. Still waiting. The hill looks kind of big but I'm guessing it's something different that we're waiting on.